Three airlines have canceled flights out of two airports in Argentina's capital city because of the ash cloud from the Puyehue volcano in Chile, according to media reports. Aerolíneas Argentinas, LAN and Austral canceled flights from Buenos Aires' Jorge Newbery Metropolitan (aka Aeroparque) and Ezeiza International airports after the ash cloud arrived in the city, and Spain's Iberia airline canceled three flights from Madrid to the Argentine capital, the Buenos Aires Herald reported. The latter flights were rerouted to Santiago, Chile. The airlines had already canceled a string of morning flights but later called off flights until 5 p.m. with a warning more could follow, depending how the situation unfolds, the newspaper reported. In a statement to the Argentine news agency Télam, Chile's LAN airline said it would not “operate its flights in Aeroparque and Ezeiza International Airport until conditions are favorable and compatible with the highest security standards of the company." Ash from Puyehue's weekend eruption grounded flights earlier this week. Smoke and ash shot more than 6 miles into the the sky after the Puyehue-Cordon Caulle volcano complex in southern Chile erupted Saturday afternoon. Authorities evacuated about 3,500 people from the area, the state emergency office said. Cities including Bariloche, San Martin de los Andes and others canceled school and public activities. The Patagonia region in southern Argentina was the most affected by the ash, which piled as high as 30 centimeters (about 1 foot) on highways through Patagonia. Chile is on the "Ring of Fire," an arc of volcanoes and fault lines circling the Pacific Basin that is prone to earthquakes and eruptions. Is the boy in the third picture reverse peeing? Some of the pictures look awesome. They'd make great dekstop images. Come here liza. I will buy you a drink baby. According to latest reports from LAN Airlines as of 4pm Buenos Aires local time, LAN has cancelled all domestic flights within Argentina for June 9-10 (to/from Buenos Aires Aeroparque Airport). 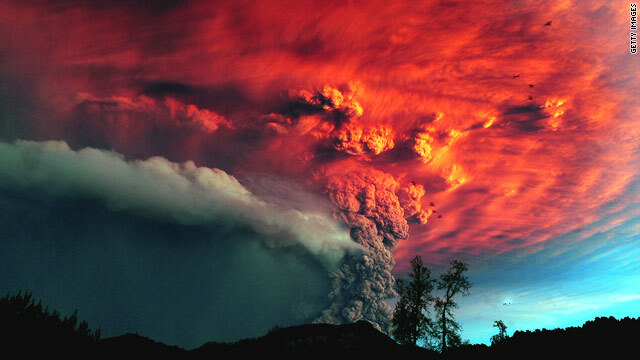 Many of their international flights in and out of Buenos Aires International Airport (Ezeieza) have also been cancelled due to the ash cloud emanating from Chile´s Puyehue Volcano which first erupted on Sunday in southern Chile, approx 900km south of Santiago and 100km west of Bariloche, Argentina. According to latest reports from Aerolineas Argentina, national airline of Argentina, many domestic flights to and from southern Argentina have been suspended or cancelled due to the ash cloud from the recent eruption of the Chilean volcano. For further information about domestic and international flight schedules in the region, please check directly with your airline. Additionally, LAN Airlines will provide an operational status update at 11pm and Aerolineas Argentinas will provide an update at 5pm. The airports in South of Brazil are shutdown since Yesterday and should stay for 2 days.